It is that time of year again. The Summer Fun Festival is returning to town. There will be rides, games and good food. 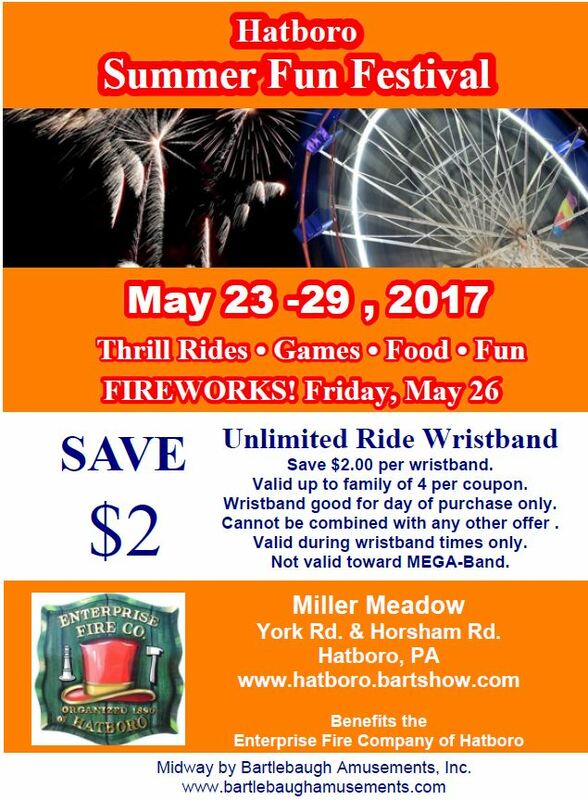 This year is also a little different in that the carnival is now 100% run by us and all the proceeds will benefit the Fire Company. These proceeds helps us to buy necessary equipment, give back to our members and to help keep up with maintenance. So please come on out, show the fire company your support and have some fun! Also keep an eye out as it gets closer for different events and specials that are going on each night of the carnival.